From Bluepic Studios and wait21.org, this video is a great primer on addiction. Why does the body crave a drug over more healthy options? Why does exposure to alcohol, marijuana , tobacco, and other drugs before age 21 dramatically increase the odds of addiction? “Studies show that 9 out of 10 people who currently struggle with addiction started drinking, smoking, or using before the age of 21. Research shows that people under the age of 21 are at the highest risk of having their Survival Hierarchy hijacked. Why? Because their brains are still growing and developing, and are hyper-sensitive to false shocks of dopamine caused by harmful substances. By age 21, the brain is more fully developed and mature, and the Survival Hierarchy becomes more permanent and less susceptible to getting hijacked. The flip side is that once you are 21, it becomes very difficult to remove these harmful substances from your Survival Hierarchy. 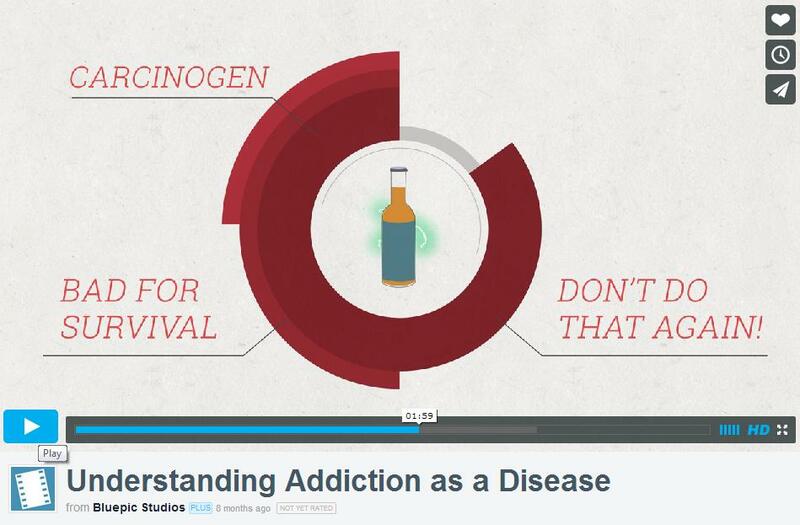 Understanding addiction as a preventable disease can help save millions of lives. The decision to wait until 21 could mean the difference between a life enslaved by addiction, or a life full of success and accomplishment.